Haworthia? This is similar to Haworthia, in fact for a while there I had one that looked a lot like this, but it turned out to be an Aloe. This is what this is; Aloe aristata. 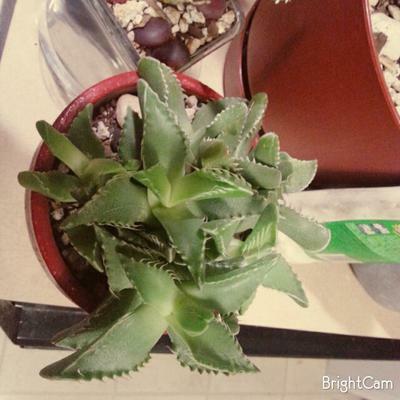 The second plant is one called Tiger Jaws, or more properly, Faucaria tigrina. This cute little plant can be long lived if properly cared for, so don't over water it. 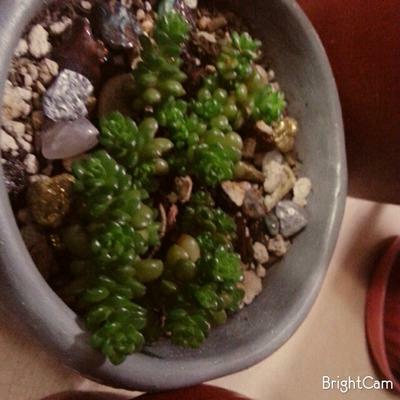 The third plant is a Sedum of some kind; I'm thinking Sedum rubrotinctum, the Jelly Bean stonecrop. Again, too much water and it will turn to mush. For all of these plants, I recommend you look at the guidelines on the succulent care page. I had a feeling about the Haworthia and the Tiger Jaws are just plain cool. The other one is called a little gem. I can't find the scientific name. But I can't wait to post more. 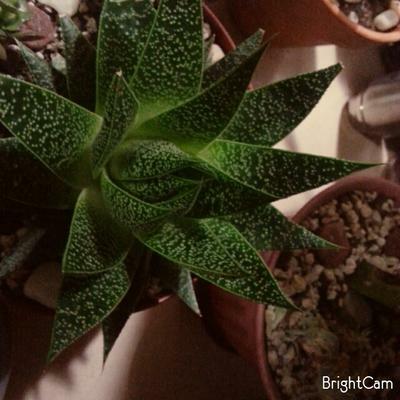 Due to the smooth edge of the leaves I'm wondering if it's not a gasteraloe such as "Flow" or "Royal Highness".